Bula fellow car enthusiasts. I am happy to confirm that the drags will be on tomorrow at the Nanuku Aerodrome in Pacific Harbour. This will be the sixth in the Pacific Energy Quarter Mile drag race series. However. with the unfavourable weather pattern we are experiencing, Fiji Car Club will decide at around 6pm today if we will go ahead with the race as scheduled. Members and the public can view the Fiji Car Club Facebook page which is Fiji Car Club AKA Fiji Motorsports Association for updates. We are all aware of the funny weather pattern that the Southern part of Fiji is experiencing right now. We have the sun on the first half of the day and then it starts to rain in the other half. So to be fair to all car race drivers and spectators coming from the Western Division, the Fiji Car Club has decided to announce if we are going to postpone the race for tomorrow only. We normally decide on the day of the race but as I said with the weather we are now experiencing,we will make the decision today at 6pm. Again the Fiji Car Club will maintain the same categories as per our prior races. We have noticed that a lot of Hybrids are entering the competition now which is very encouraging. As announced earlier, we will have two categories for Hybrids. One would be over 2000cc and the other class will be under 2000cc. This is the very reason the FCC executives work so hard in organising races for all who are interested in racing. I think Fiji would be one of the very first countries to allow all types of cars on the track to race. FCC believes that the experience that is gained on the race tracks reduces accidents on our Fiji roads. Their experience in driving high speed and controlling their cars at a very high speed gives them the advantage of being a better driver. After the postponement of our Car Show which was scheduled on 25 November, FCC executives are again working very hard to secure a venue for the event. The Suva City Council car park is occupied next week and we are trying really hard to secure the SCC foreshore car park on the 16 December. We will confirm the date and the venue for the Penrite Car Show in the next few days. Until we meet next week, have a safe driving week. Raizal Haniff is the President of the Fiji Car Club. 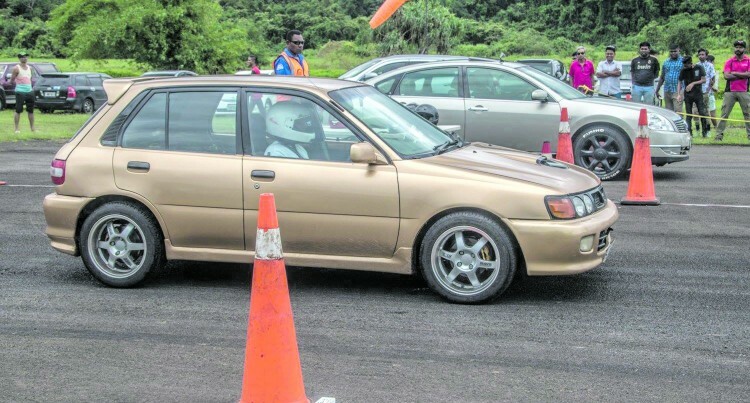 This is FCC’s regular feature in our Sun Wheels to keep readers updated on the latest from the Fiji Car Club.